CDC Announces Vulto Creamery Listeria Outbreak – According to the U.S Centers for Disease Control and Prevention (CDC), epidemiologic and laboratory evidence indicates that soft raw milk cheese made by Vulto Creamery of Walton, New York, is the likely source of a deadly Listeria outbreak. Six outbreak cases, including 2 fatalities, have been reported across four states since September 1, 2016. Vulto Creamery recalled all lots of its Ouleout, Miranda, Heinennellie, and Willowemoc soft wash-rind raw milk cheeses on March 7, 2017. Six people have been infected with the outbreak strain of Listeria by state as follows: Connecticut (1), Florida (1), New York (3), and Vermont (1). The CDC reports that all six patients, including one infant, required hospitalization. Two of the outbreak victims, 1 in Connecticut and 1 in Vermont, suffered fatal infections. Six (100%) of six outbreak victims reported eating a soft cheese in the month prior to their illness. The Florida resident reported traveling to and eating soft cheese in New York State before their illness began. Soft cheese made by Vulto Creamery was sold at stores where at least five of the outbreak victims purchased cheese before becoming ill with Listeria. 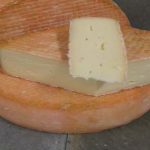 Leftover cheese, collected by Connecticut state public health officials, from the deceased person’s home in Connecticut tested positive for the outbreak strain of Listeria. The family identified the product as Ouleout cheese from Vulto Creamery. The New York Division of Milk Control and Dairy Services and the FDA identified the outbreak strain of Listeria in cheese samples taken from three intact wheels of Vulto Creamery Ouleout cheese. The CDC and state and local public health officials will continue to work in partnership to identify additional outbreak victims. The CDC reports that the investigation is ongoing. On March 7, 2017, Vulto Creamery recalled all lots of its Ouleout, Miranda, Heinennellie, and Willowemoc soft wash-rind raw milk cheeses. According to the Vulto Creamery Cheese Recall announcement, the soft raw milk cheeses were distributed nationwide, with most being sold at retail locations in the northeastern and Mid-Atlantic States, California, Chicago, Portland, Oregon, and Washington, D.C.
On March 8, 2017, Whole Foods Market recalled these soft cheeses from nine of its stores in Connecticut, Massachusetts, Maine and New York, because the cheeses have the potential to be contaminated with Listeria. Listeria monocytogenes or “Listeria” is a bacterium that can cause a serious and life-threatening foodborne infection known as listeriosis. Listeriosis affects primarily young children, frail or older adults, individuals with weakened immune systems, and pregnant women. If a pregnant woman experiences a Listeria infection, bacteria may cross the placenta causing a miscarriage, premature delivery, still birth, or an infection in the new born. Persons not belonging to one of these high risk demographic groups can also experience a severe case of listeriosis. Since 1984, Attorney Eric H. Weinberg has assisted personal injury clients nationwide, including those sickened in food poisoning outbreaks. Please see Food Poisoning Lawyers NY and NJ to learn more about our services. If you or a loved one has been injured in the current Vulto Creamery Cheese Listeria Recall, and you would like more information concerning your legal rights, please call our firm toll free at 877-934-6274. Our phones are answered 24/7.